Samsung introduced Gear Fit2 fitness band with built-in GPS Sports tracks your running route, distance and speed in real time with precision and dedication so you can go farther, better. The Gear Fit2 automatically tracks your everyday activities, from walking to squatting to yoga, to encourage a healthier lifestyle. 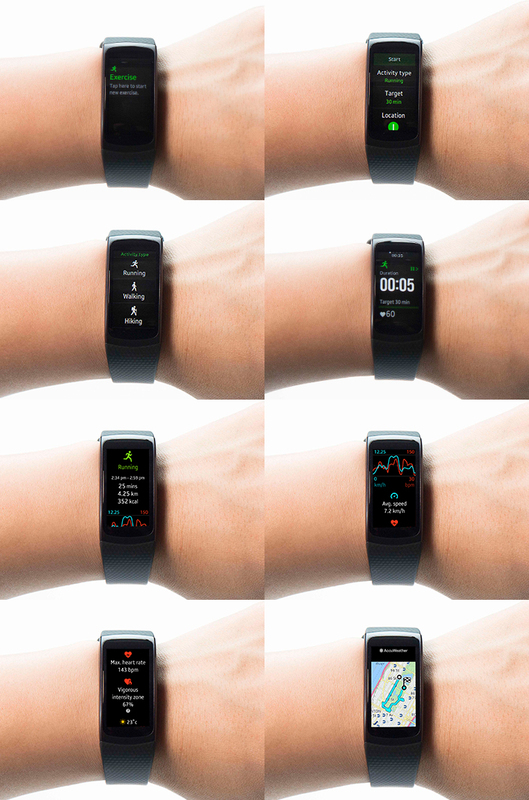 Fit2 Get the most out of every workout with highly accurate heart rate monitor. Check when you’re in the vigorous intensity zone to step up the intensity. The Gear Fit2’s 1.5-inch Super AMOLED curved display, high resolution and color touchscreen let you easily monitor your progress, check the time or show off your impressive fitness stats, even in bright sunlight. The display interfaces are easy to understand and simple to navigate. Whether it’s seeing how close you are to reaching your goals or just checking the time, the intuitive design makes it all a breeze. It’s motivation around the clock with Fitness Widgets. They’re designed to get you in a fitness frame of mind and to stay there. Featuring a stylishly slim and classically chic design, the Gear Fit2 is available in three fashion-forward colors (black, blue and pink) and boasts a variety of watch faces so you can choose the best look to complement your own personal style. © 2016 Mirchu.net Web and Technology Blog.